The Fourth Annual HALO Fashion Show is Quickly Approaching! 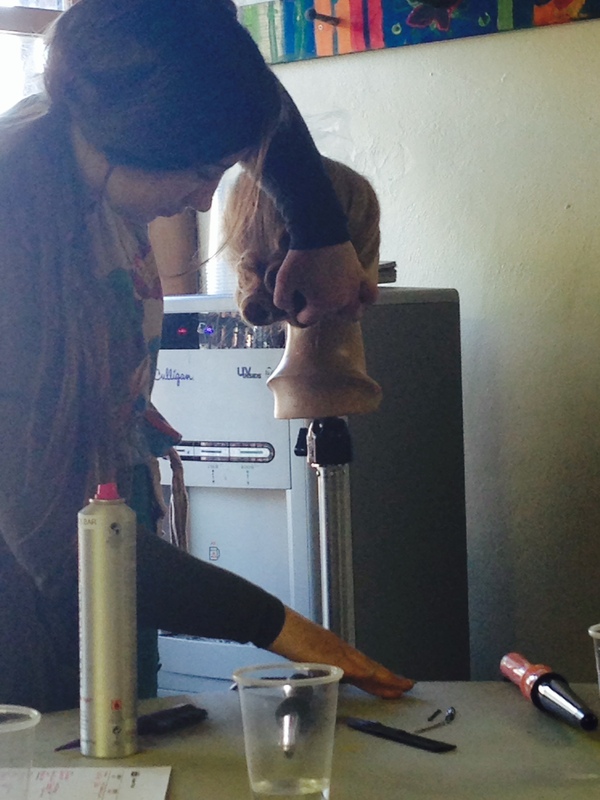 All summer, HALO youth, volunteers, and staff have been preparing for the HALO Fashion Show on August Eighth. With the show a little more than a week away, HALO has kicked it into high gear! Workshops to get ready for the show are in full swing. 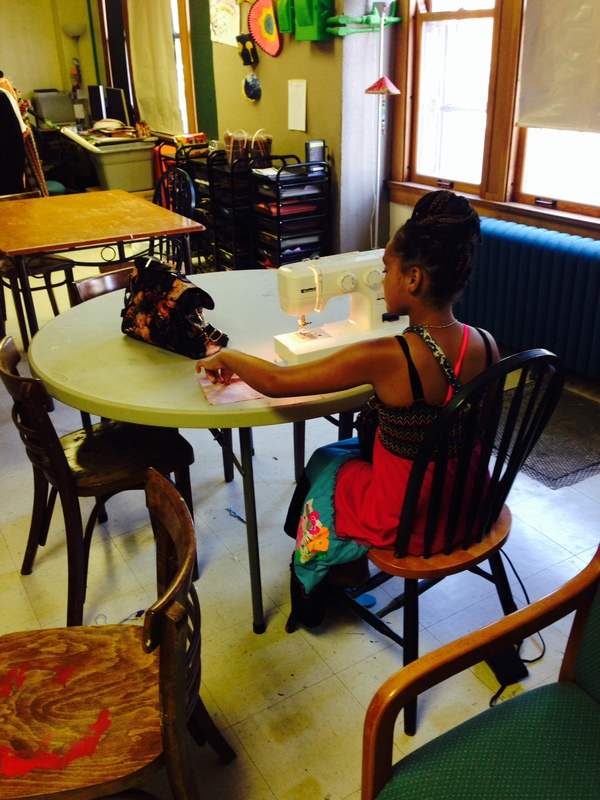 The girls in sewing class just put the finishing touches on their outfits yesterday. 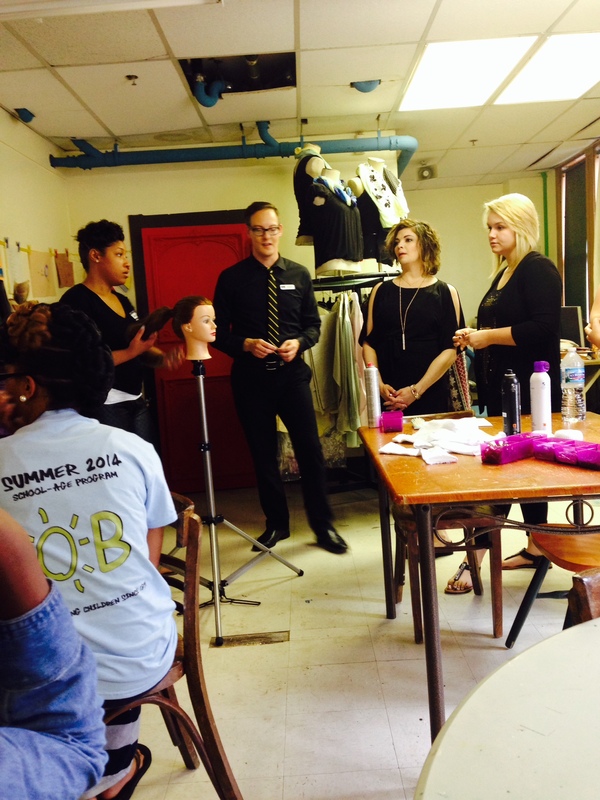 The girls in cosmetology class are putting together their full looks tomorrow. 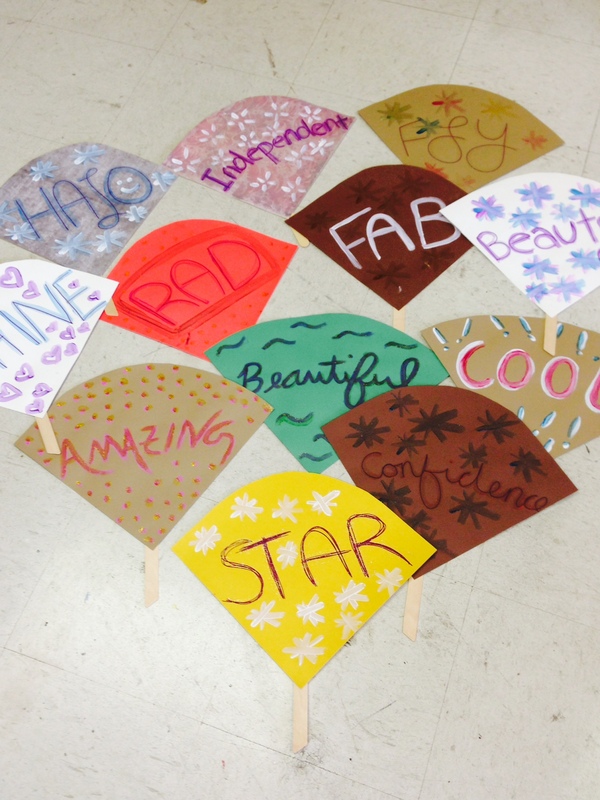 HALO volunteers have been crafting one of a kind fans that each Fashion Show goer will receive with their ticket. The learning center has been busy, but that has only made preparation more fun! The show is August eighth from 6:00 to 8:30 p.m. at Terrace on Grand, 1520 Grand Blvd, Kansas City, MO 64108. To purchase tickets and learn more about the show, visit www.haloworldwide.org/events-2/kansas-city-youth-fashion-show-2014/ . Here are some great photos of Show preparation so far! There will be more photos to check out next week. 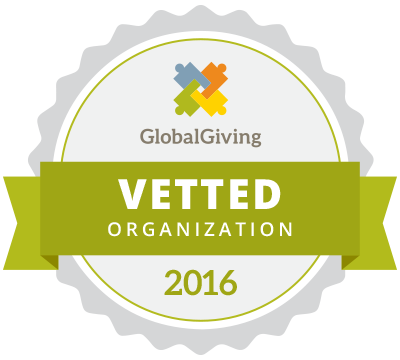 Be sure to like us on Facebook and visit www.haloworldwide.org to learn more about HALO! 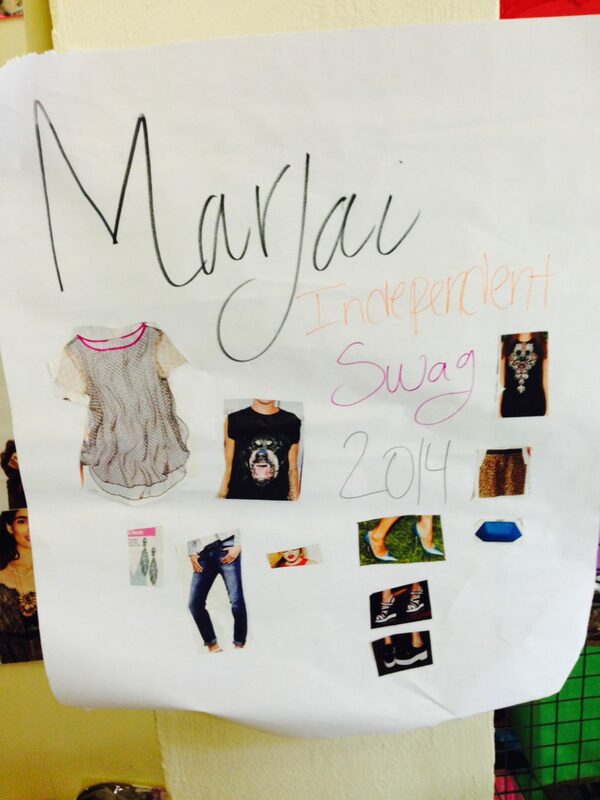 Here is a HALO youth’s plan for her look at the Fashion Show! Do you want a fan like these? Come to the show! 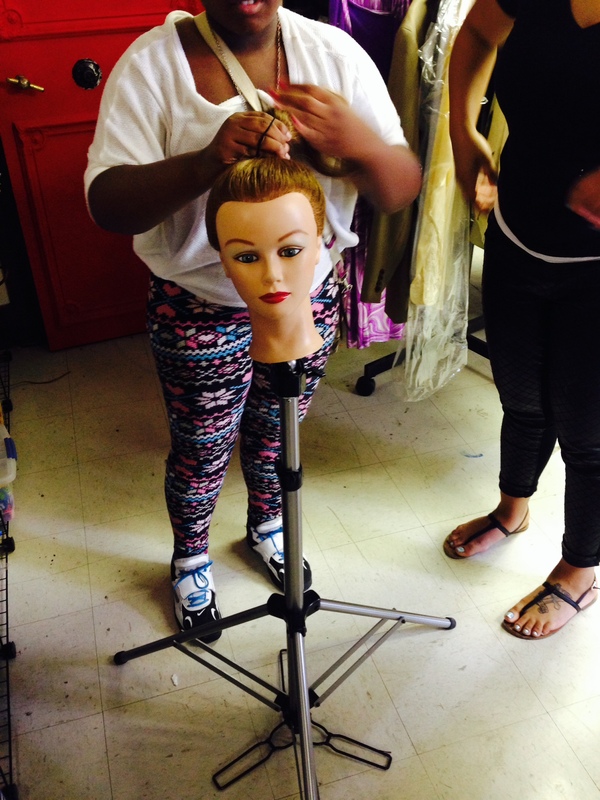 A HALO youth doing an intricate up-do on a doll head. Putting some of the finishing touches on her outfit! 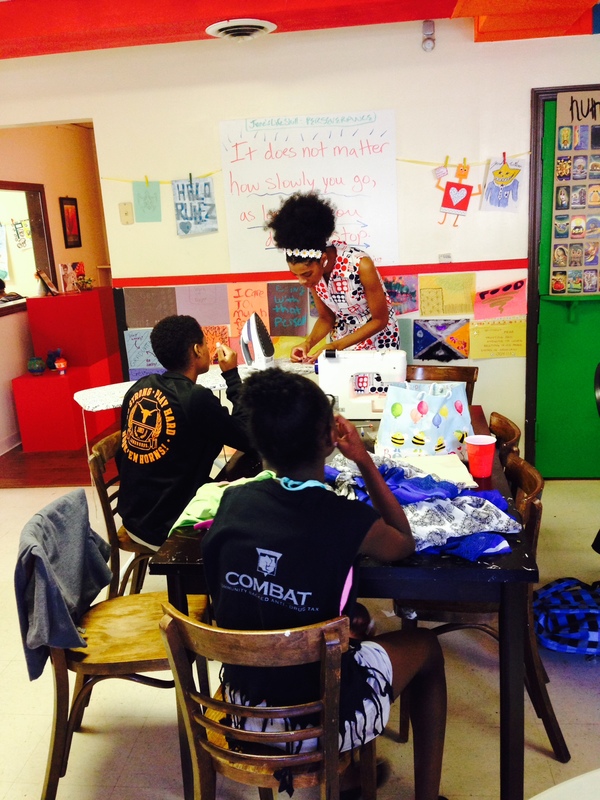 Whitney Manney teaching the youth some sewing techniques.